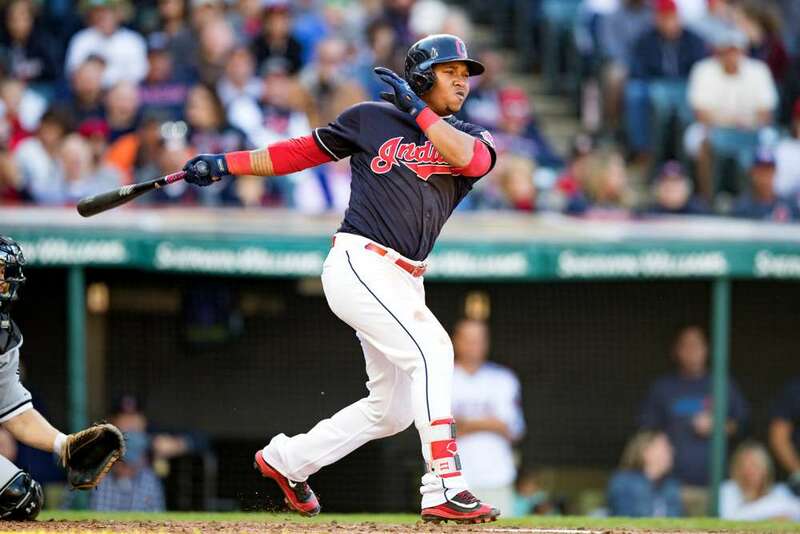 Welcome to the second half of my series on Brooks Baseball and how it can make you a better fantasy baseball player! 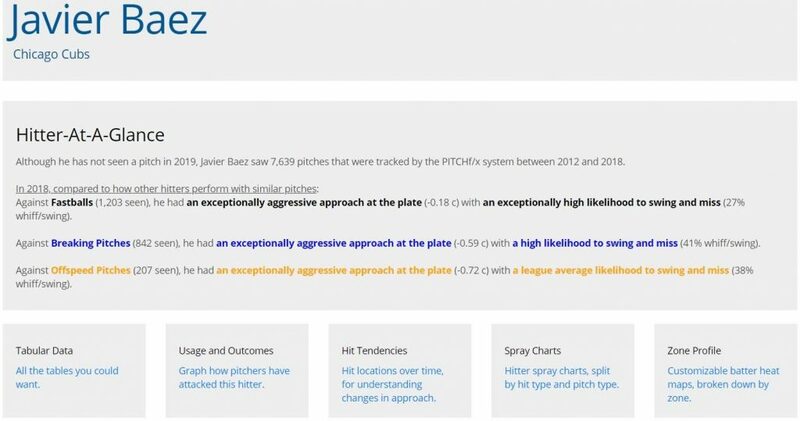 In Part One, we looked at how we can use the site to better analyze pitchers, and today we move on to the hitters. While I certainly use Brooks more for pitchers, it can be a very beneficial tool for hitters, too. You can learn a great deal about their strengths, weaknesses, and trends. His Landing Page tells you that he has an exceptionally aggressive approach at the plate. He also has an exceptionally high likelihood to swing and miss against fastballs, breaking balls, and offspeed pitches. This is very true — Javier Baez is the type of hitter who swings out of his shoes frequently and isn’t opposed to expanding the zone. 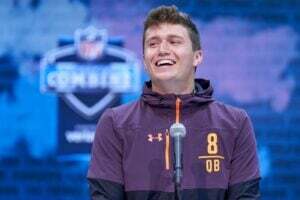 His contact rate was a measly 68.5% in 2018. His O-Swing% was 45.5%, second highest among qualified batters. You’ll find that this is how hitters are broken down in several aspects on Brooks — how they fare against different pitch types. Baez is a free-swinging power hitter who doesn’t care about his swing-and-miss. Even without researching the exact numbers, a quick glance at his Landing Page gives you an idea of what he brings to the plate. We’ll go in that order. Moving to the Tabular Data page, we see a chart breaking down how Baez has performed against individual pitch types. You can sort by season or from a specific date range using the Quick Date Selector on the left-hand side of the page. Below that, you can modify the Table Type to get the specific results you’re looking for. For example, if you switch to the Results and Averages tab, you’ll see his outcomes sorted by pitch type. Sorting by Sabermetric Outcomes, you see that Baez whiffed on 42.94% of his swings on Sliders in 2018. Then sorting by Results and Averages, you see he still managed to hit .256 with nine home runs off of sliders. He whiffs a lot, but when he connects – look out. Moving to the Usage and Outcomes tab, you can see a line graph of the percentage of pitches he’s seen over a span of time. You can see from 2014 to 2018, the league has shifted from throwing him 57% fastballs down to 53% in lieu of more breaking balls. Baez improved dramatically against Curveballs in 2018 though, so that trend may not continue. Moving over to the Hit Tendencies tab, you get another host of options. You can get a hitter’s Batted Ball Speed, Spray Angle, and batted ball distribution per ball in play (BIP). If a hitter has seen his production take a step forward, you can check out his Batted Ball Speed to see if there’s been a change. If there’s no difference, he could just be getting lucky on balls in play. However, if there’s a noticeable jump in BBS, that player could have made an adjustment and is now making better contact. Now onto the Spray Charts. 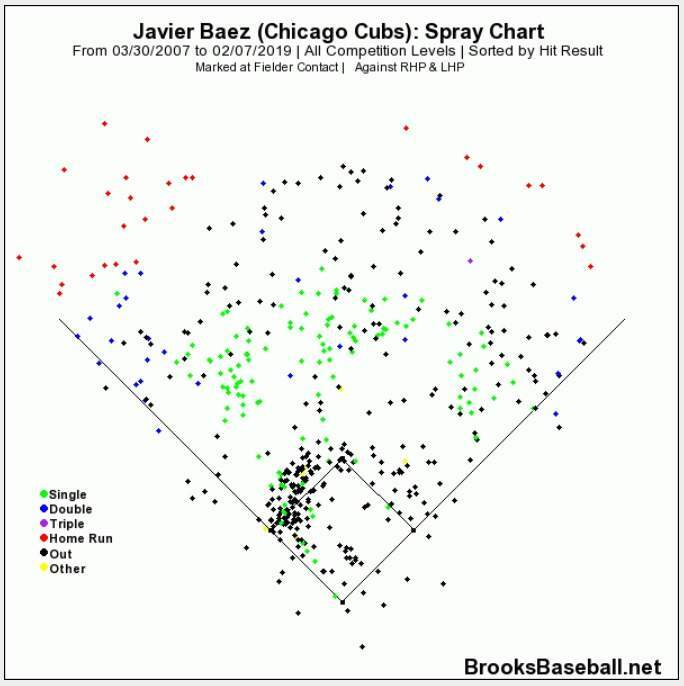 Spray charts are beautiful, and here is Javier Baez’s spray chart by hit result. You can also change the chart to Hit Type, breaking things down into Line Drive, Ground Ball, etc. I like to sort by Hit Result and look at the home run distribution with some players. You can learn a lot about how much power a player has by noting if his homers are entirely to the pull side or if they are distributed to all fields. Someone like Javier Baez has power to all fields, whereas a player with more middling power like Brian Dozier uses a pull-heavy approach to hit almost all of his home runs to the pull side. If you see a player begin a season on a power binge, it may be beneficial to see if said player has taken up a pull-heavy approach, which has turned into increased power production. For example, Jose Ramirez pushed his pull% up by 7% from 2016 to 2017, which brought his Hard% to 34%, a 7% increase. His HR total went from 11 to 29. Finally, we arrive at the Zone Profile tab. There are a ton of options to play around with here, but generally speaking, this tab gives you an idea of how pitchers are attacking the hitter, as well as what the hitter is or isn’t swinging at. You can also play around with the hitter’s performance against certain pitch types. 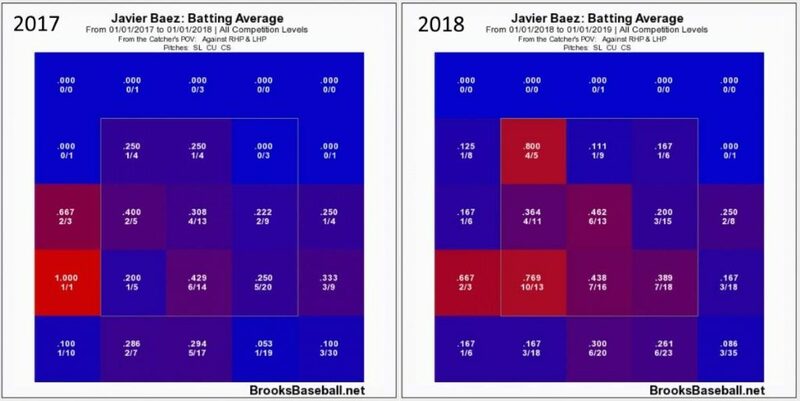 For example, look at how Baez performed against sliders and curveballs in 2017 compared to 2018. You can also sort by Batted Ball Type as well as Batted Ball Outcomes. Also, don’t forget that if you really want to go granular, you can sort by the ball/strike count and/or by pitch type as well. Brooks is really an excellent tool. That will do it for this intro to Brooks Baseball. Let me know on Twitter @NathanDokken if you have any additional questions or comments regarding the navigation of the site. Head over to BrooksBaseball.net and play around for yourself!